Please mark your calendar. 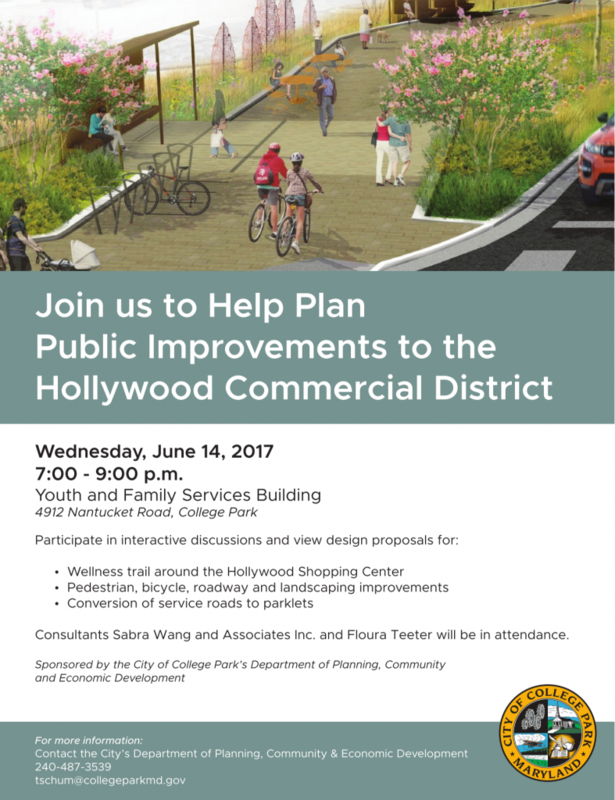 On Wednesday, June 14, 2017, 7-9 pm, at the Youth and Family Services Building 4912 Nantucket Road, the City will be hosting a public meeting to seek your input about the Hollywood streetscape project. Details are in the flyer below.